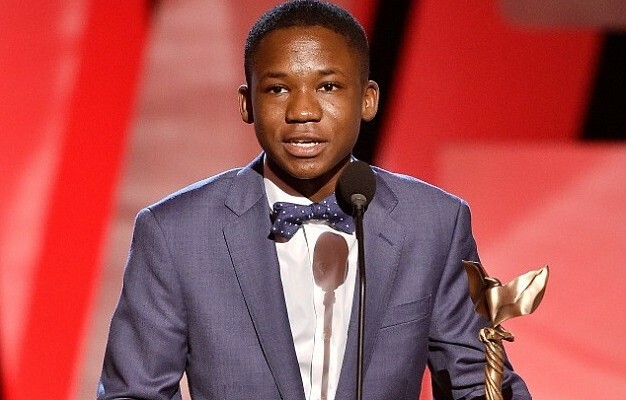 The past film year has been pretty good to Abraham Attah considering a year ago today his acting ambitions were probably next to nil. I bet he was a regular football loving kid who loved his fair share of small poles and four corners (do kids still play that). Indeed when he was approached to audition for Cary Fukunaga’s Beasts of No Nation he was skipping school to play football. Truancy can pay sometimes. Fast forward a year later, and Attah is coming off a weekend that saw him win the best actor at the Indie Spirit awards and present at the Oscars. The 15-year old actor has been welcomed with open arms by the world of cinema and his debut performance garnered him critical acclaim. Indeed under different circumstances, he may have found himself on the Oscar nominees list instead of the presenters list. That said, cynics like myself are entitled to ask; how long will Attah’s fast rising bubble last before it bursts? Everyone’s bubble bursts sometime. It’s just a question of after how long. There really isn’t any direct precedent pertaining to Attah. Maybe the Indian actor Suraj Sharma in Life of Pi but he didn’t receive the acting plaudits Attah did neither did he have the quasi marketing benefit of staring in controversial production. I think Attah could be viewed as some sort of thespian unicorn – a 14 year old Ghanaian kid starring in a high profile indie flick, working under an expert craftsman, opposite a bonafide A-list star. Throw in the awards recognition and you get the sense Attah has been served a unique and fortuitous opportunity to really make a mark and break barriers in film. From our point of view, he has already broken barriers and even on an African spectrum, a kid his age, with no acting experience has not broken onto the world stage in a manner such as this. Why has the world taken so warmly to Attah? For one, the row about diversity helps. With #OscarsSoWhite, a film like Beast of No Nation benefits from being cited as an alternative and having diverse components like Attah and his co-star, Idis Elba. The non-Oscar elements of the Hollywood have shown love to Attah undoubtedly because he’s good but there’s also more. Attah some way somehow has just embraced his meteoric rise like a simple progression from JSS1 to JSS2. Let’s consider the last close thing to an African breakout star, Barkhad Abdi. Abdi had his 15 minutes coming off his Oscar nominated turn in Captain Philips. However, you always got the feeling Abdi was thought things a little too good to be true. He never really looked that part. He always appeared awkward and two years down the line, Google searches mostly take you back two years in time (he does feature in a new film this month). Juxtapose this with Attah who looks tailor made for the lime light. The optics accompanying Attah since the release of his film reveal a sense of comfort and a tinge of entitlement. When your debut comes opposite an imposing star in Elba, that comfort he possesses becomes understandable. 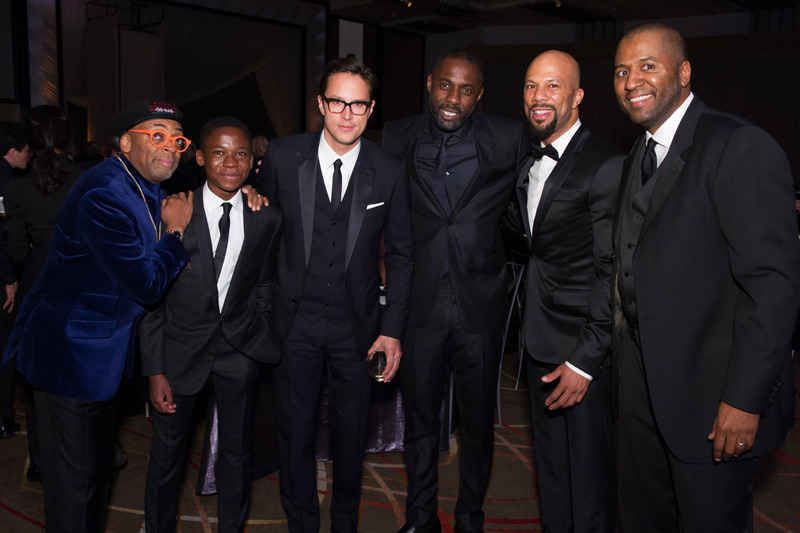 I’ve seen him in pictures alongside icons like Will Smith, John Legend and Spike Lee and our young Ga boy did not appear out of place. Attah’s demeanor projects some proper confidence and his bright beady eyes and broad beaming smile are box office material. His fashion game is always on point and big ups to his publicity team for that. Lest we forget he made a pair of TOMS look great on the Oscar red carpet. It always helps to have people talking about your fashion a style in these frivolous times as well as having a shoe company like TOMS latch on to you for philanthropy and good publicity. The fact that Attah has started to tick these boxes is all well and good but the name of the game is still cinema. Attah has acting chops. The most impressive thing about him is his ability to project emotion in an understated way. That allowed him to make a mark opposite the more pantomime Elba in Beasts of No Nation. 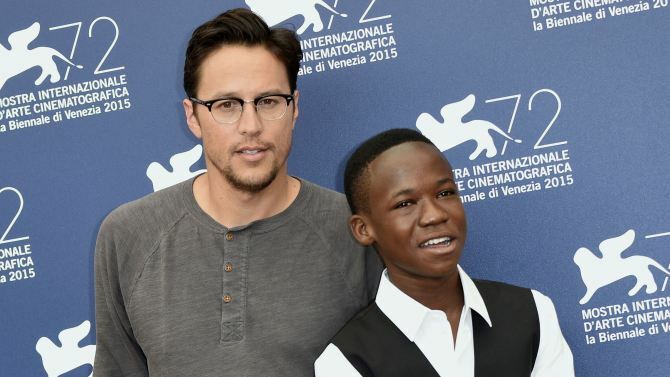 God bless the casting team for finding him and director Cary Fukunaga for taping into his talent. Left to Ghanaian cinema, Attah would still be common floor member. I trust the process that brought Attah to the lime light. It took a rigorous audition and scouting process which went through over 1000 kids. Reports say generally middle class kids auditioned for the film but none of them had that x factor hence the need for casting boots on the ground and that fateful meet on that football field during school hours. Given the choice of nurturing a young talented actor, I will always lean towards the indie scene. 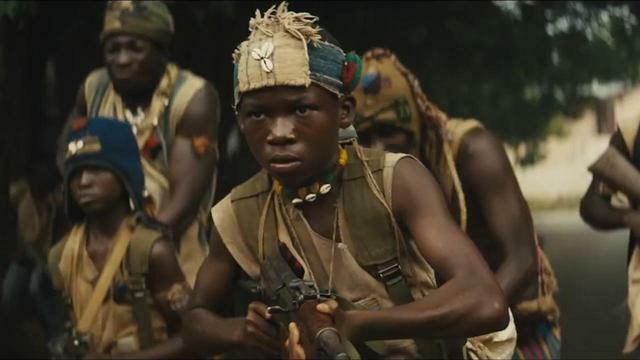 Beasts of No Nation is as low budget as they come and it was helmed by terrific craftsman in Fukunaga who sought an earnestness to fuel his story, an earnestness they found in Attah. Independent cinema has been a haven for compelling break out talents because, simply put, the focus is mostly on craft and style and more risks are taken. There is no pandering or consideration for studio whims. The actors have their mind set on the bottom of line of acting which may not have been the case in a major studio film. Because I’m in full optimism mode, I’m going to compare Attah’s indie foundations to that of Jennifer Lawrence. Before she became a Hollywood star circa Hunger Games, Lawrence turned heads with her terrific showing in the 2010 indie film, Winter’s Bone. It was a bleak uncompromising drama and she earned herself the buzz and critical acclaim we see Attah enjoying. Of course Lawrence was a white teenager and mainstream Hollywood threw here numerous bones following her break out. That won’t be happening for Attah but the indie world could continue to be kind to him. That’s where he stands the chance of growing and finding challenging roles. There are red flags to consider for our unicorn. His debut performance was as a child soldier. He will be following that up as a kid on the canvas of an Ebola stricken village. I know Carruth is a creatively eccentric entity and reports indicate his 200-page script is filled with pictures and diagrams but The Modern Ocean will be set on shipping routes *cough slavery cough*. Time will tell but it would be a shame to see Attah just typecast which is why he should look to African cinema. Film here isn’t as vibrant as it ought to be and narrowing in on Ghanaian film in the past 15 years, there isn’t a role that would have challenged him. That said, there are gems on the continent that will provide meaty roles that stray from stereotypes. I went against type to look at Attah through the scope of optimism. I probably could have written twice as much on why he may just be a flash in the pan but things are dire all over so why not just let Attah’s smile light things up little. This could be as could be as good as it gets for Attah or we could talk about him in the light of Fela Kuti or Wole Soyinka. I can’t tell the future but we can see the now which shows Attah primed in the right lane for transcendence.